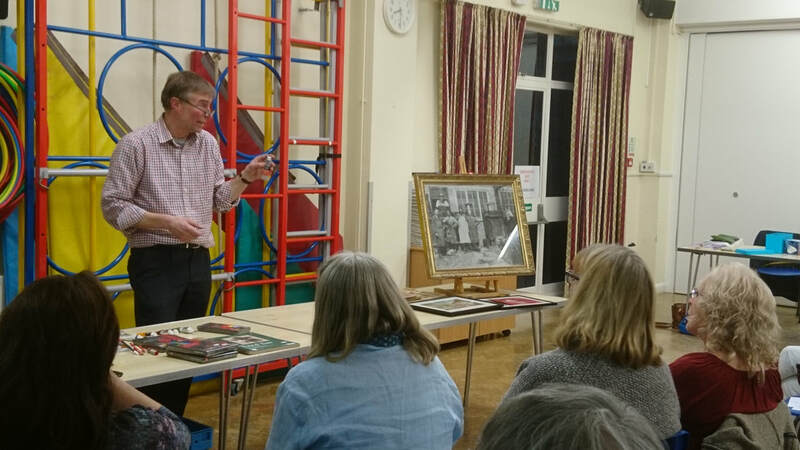 At the May Monthly Meeting members enjoyed a talk by Peter Gadsby from Leicester’s long established landmark artists’ supplier and framer. Peter shared some fascinating memorabilia from his family business, going back over several generations to Victorian times. Then he brought us right up to date with an taste of some of the latest products on the market for artists. A highly entertaining and instructive evening. During the evening there was also a chance to see the excellent ‘work in progress’ on the Sketchbook Exchange project.